Ratskeller Naumburg and Kloster Zscheiplitz announce their partnership aimed at for preservation of the historical and artistic heritage of the Saale-Unstrut region. Its main goal – to secure funds needed for the emergency conservation and renovation work on former Pfalzgrafenhof Weissenburg/ Kloster & Gut Zscheiplitz, as well as other key historical monuments of the Unstrut valley, as well as revival of traditional bier culture in the region, known predominantly for its wine. “We are very pleased to offer to our customers a beer, created in the best traditions of monastic brewing”, says Hardy Hanschke of MGB Mitteldeutsche Gastronomiebetriebsgesellschaft mbH, Naumburg. “ While our region is known for its excellent wines, we can now also be proud of our beers, made in strict adherence to the ancient and noble traditions of kloster brewing. Combined with modern technology old recipes help us to create the unique testes, which reflect our remarkable heritage”. 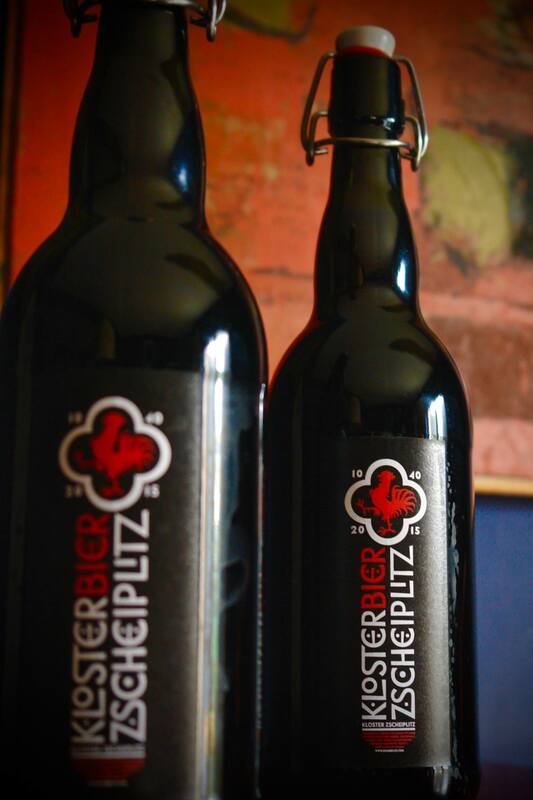 The new brand “Zscheiplitz Klosterbier” was developed based on the century-old recipe, preserved in the family archives of the Zscheiplitz residents – Kadri and Alexander von Hahn. “Saale-Unstrut is known for its castles and monasteries, but it is not a museum or a theme park. Our aim is to secure the future not only for buildings, but also for all these who live in the valley. Our history has to work for our future, for the future of our children and grandchildren”, says Kadri von Hahn. Later this year Kloster Zscheiplitz will also introduce a range of alcoholic and non-alcoholic beverages, as well as cheeses and other products, created in accordance with the ancient monastic traditions and made of ingredients produced in the region. The Hahn family plans to implement an extensive renovation of the Zscheiplitz Manor, as well as to open a community centre and a library dedicated to its historic, artistic, and culinary heritage. In July a first Zscheiplitz Charitable Lottery was organised in favour of the Fridrich-Ludwig Jahn Grundschule in Freyburg.